Britain has relied on coal as an energy source since the Industrial Revolution. In fact, coal was responsible for transforming Britain into one of the largest industrial nations in the world, exchanging water powered wheels for coal-burning steam engines, to power the very machines that revolutionized industry. This transition may have had a positive effect on the development of the modern world, but backlash would eventually arise from the lingering effects of the CO2 produced as a result. According to an article written by Fred Pearce, published by 360Yale,“Britain is responsible for 6 percent of all the industrial CO2 in the atmosphere today, which is more per head of population than any large nation, the U.S. included.” However, throughout recent years, Britain has been working on changing that statisticby diminishing coal indefinitely and took a large step towards that goal in 2015 with the closure of the last coal mine. Power plants that produceenergy from burning coal, such as the DraxPower Station located in the UK, are estimated to be shut down by 2025 or earlier, according to 360Yale’s article. An analysis of the usage of coal for electricity in Britain today shows it has already dropped from 80 percent in 1974, to only 2 percent this summer. The only question remaining with this transition is, with the decrease of coal usage in Britain, what alternative energy sources will be accepted as a replacement for coal? Since coal is now being used only in backup situations, Pearce cites natural gas, nuclear, and growing networks of wind turbines and solar farms as the main sources of Britain’s energy. With carbon taxes and government price guarantees, it is cheaper for Britain’s National Grid to obtain renewable energy, such as wind and solar energy, than it is to obtain coal. 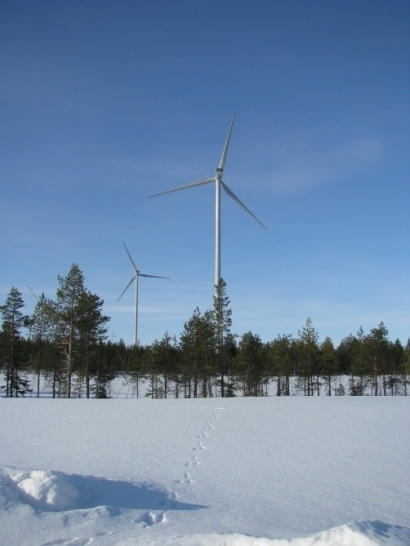 Solar energy often peaks in the summer, while wind energy tends to peak in the winter. Offshore wind farms have been generating 8 megawatts per turbine and are less expensive than coal, nuclear, or gas energy. Despiteall the benefits provided by wind and solar energy, there is still a large amount of oppositiontowards the usage of renewable energyfrom the public. For example, in recent headlines published by National Wind Watch, residents in Galilee, Israel are complaining that the addition of a new wind farm will block the landscape. Also published on National Wind Watch, there is a case in Scotland, where protesters are claiming that the turbines would destroy the scenery. Townships, counties and municipalities are also getting into the "slowing" movement of wind farm growth - with moratoriums. Moratoriums often allow communities to pause the development of wind farms while local zoning ordinances are rewritten or adjusted. The problem for wind farm developers is that these adjustments are almost always detrimental to siting wind projects. So now you need two public relations campaigns - one to educate the public on your actual project, and one to educate the public on the pitfalls of a moratorium. In my two decades of working on development projects, I have never seen a moratorium come "out of the blue." There is always a reason for such actions. So, what are the best tools to promote your project, build support and avoid political defeat or stalling of a project? GET INFORMED- Being well informed on projects that have not been approved in the past is a good way to make sure a future project is a success. Research is an important part of any campaign because it allows developers to gain insights on the public’s needs. Therefore, increasing the chances of a project’s approval. Get ahead of the game by getting informed and understanding all the variables and anticipating the results. GET INVOLVED- A great way to get approval for a project by any government, local or regional, is to get involved in politics. Speaking with representatives and educating them on goals and past accomplishments will build a trusting relationship between both parties. At the end of the day, the future of your renewable project is in the decision makers’ hands, and getting involved will increase its support and chances for approval. GET TO THE STAKEHOLDERS - Contacting stakeholder groups both locally and regionally to coordinate grassroots efforts can amplify messaging through newsletters, email blasts and presentations to the organization’s members. Coordinating a call to action with stakeholders can greatly enhance support in a meaningful way. Don't let your renewable project succumb to delays, moratoriums and zoning defeat. Developers have many options and a great story to tell.As Britain continues the transition away from traditional energy sources, renewable companies will have many opportunities for new projects. With the proper public affairs approach, these companies can face challenges presented by the opposition confidently to build support when it is needed most.